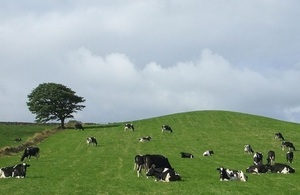 The Animal and Plant Health Agency, Defra, Scottish Government, Welsh Government and the Department of Agriculture, Environment and Rural Affairs in Northern Ireland are working together to run a national foot and mouth disease simulation exercise called Exercise Blackthorn. While the risk of foot and mouth disease arriving in the UK remains low, the aim of Exercise Blackthorn is to test all current contingency plans for a national outbreak of the disease. It will establish the current state of readiness whilst identifying issues and improvements in policies, plans, instructions, structures and recovery procedures employed in managing an outbreak. The Exercise will simulate a medium to large scale outbreak that has spread from England to Wales, Scotland and Northern Ireland. The first simulation exercise is 8 February 2018 where suspicion of foot and mouth disease is simulated. A further table-top exercise will take place on 8 March 2018 followed by a real-time exercise on 25 and 26 April 2018. Exercise Blackthorn will end on 7 June 2018 in a final table-top exercise where the simulated outbreak will be investigated to the point of disease eradication and recovery aspects considered. "Regularly testing our contingency plans and joining up across the UK is an important part of assuring our capability to respond to disease outbreaks. Exercises like this provide an opportunity for teams across government and industry to engage and to learn lessons in a controlled and safe environment. "The risk of foot and mouth disease arriving in the UK is low but ever present. Government monitors disease outbreaks and incidence around the world assessing risk for the UK and taking action to mitigate risk where possible." The EU Foot and Mouth Disease (FMD) Directive 2003/85/EC requires Member States to exercise their contingency plans twice within a five year period or during the five years period after the outbreak of a major epizootic disease has been effectively controlled and eradicated. An exercise evaluation report will be published in the autumn 2018.